This will be a short but one of the most important reviews I will make, since it is currently one of the most popular car seats in Europe. Everything about Sirona can be found on the net but the most important seems to be missing. Real usage experience. I read a lot of comments about Sirona on Facebook, but unfortunately they are quite uselles. Mums were commenting; "It's a great seat blah blah..." Those are just comments made to prise their choice of a car seat and that's it! But do not jump to conclusions. I do think that Sirona definitely deserves far the best marks when it comes to safety, price and quality ratio, and one of the most important thing, the practicality of usage. - popular "egg" but with isofix. If you would go and buy the 0+ seat(the popular "egg") with isofix you would already spend 3000hrk on them! And you would have just a seat up to a year! - The second seat (up to the fourth year) in Sironas quality range would cost you a little more than 2500HRK. Ofcourse if you would buy something about as good as Sirona. If you count these two you will get a nice amount of about 6000kn. Which would mean that you save about 50% of your money by buying Sirona. Realistically, though Cybex has taken over completely by the Good Baby Sirona is made of quality materials. Each "knuckle" is in its place, fabric without any defects, car seat comfortable and well-dressed. Do not think that's the case with all the "expensive" models. Because ... no. From bad fabric, to plastic and pure styrofoam under the buddy of the baby. And so on. It's perfectly easy to handle. Especially if you are one of those moms who switch car seats in the two cars. If you look at any YT's movie about how to install Sirona and think it's very simple just on the movie, it's not! In fact, it is one of the easiest installing car seats despite its slightly extravagant appearance. Literally, you just need to "plug in" your Isofix and lower the support leg to the floor of the car. As soon as you do this, if you have done everything you need to do correctly, little light on the car seat will go green. The rotation system is one of the most useful things ever designed. 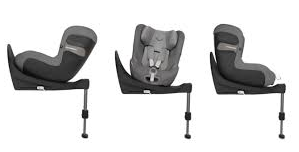 Below the baby's feet is a small gray handle that you just squeeze, hold the seat in the seating position, push it in the direction you want and you're done. Believe me, there are similar car seats who do not even have close to a good rotation system and they sell it as an advantage / additional function. When the child is looking in the opposite direction, Sironas sleeping position is almost like a crib. Judging on a fiew years of xperience in working with car seats has definitely one of the best "lying" positions of all the car seats on the market. Though it's not as close as good when the child is looking in the direction of driving. I honestly think NO. That would be her biggest minus. I tried more than a fiew times with babies from about a month, and not rearly the situation looked bad. Bad in tearms that their head would "fall" on their chest. The position itself is not problematic for the spine, first thing all moms think when they see their baby bent like that in Sirona. Not at all. The biggest problem is the airway blocked. Especially if you use the seat with a month old baby for longer trips. Is it souch a big minus? If we look at the situation from a more realistic side ... it is not. Where do you actually go with the baby for the first two months. We are all worried about 1001 things after childbirth so not many mums go with such a tiny baby on a longer trip. Especially if you gave birth in the winter period and you are worried about viruses and flu. Your travels for the first 3 months are reduced to 3 trips to the pediatrician. Will the child survive it in Sirona? Of course. With upto 3 to 4 months the seat will fit the baby perfectly. - Up to 4 years? Well... not quite allways. People take it for granted that it is measured to fit a child of up to 105cm. Yes it is, in theory. But reall life things turn out a bit differently, as in... a baby with a bigger torso and shorter legs. Well, he's "out of the belts" at around 3 to 3,5 years old. Or his shoulder hits the head rest. Nevertheless, regardless of this, I still consider Sirona to be the most ingenious and most convenient product currently on the market. - Problems with the plastic around isofix? NO NO NO! A few months ago pictures of Sirona appeared online where it's shown that on one place plastic around isofix had a slight separation . The posts looked as though someone had secretly tried to execute the assassination of someone's child by selling him a "crank" car seat. Was this supposed to happen? For three thousand kunas ... of course not. Is this an enormous security problem? Ofcourse not! An aesthetic one! If you "knock" the bottom of Sirona you will "hear" that the isofix is ​​a "hollow plastic". A slim plastic sheath that serves only to make the car seat look nice. Sounds shallow, but it it what it is. 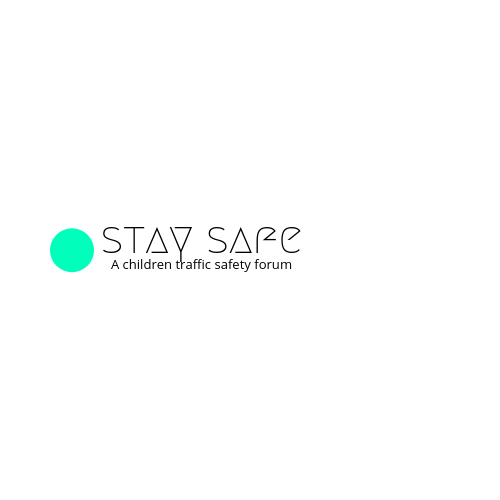 The car seat is held, rotates, and is secured by IRON rods. To whom it is not clear it will never be. To sum up the situation. I will not enter technical data. Unlike Cybex strollers, the car seat is reviewed and displayed resonably good on their web site. ALL necessary technical information can be found on THIS LINK (weight, compatability isl). Of course in English language. I was trying to be as plain as I could and deal with those pluses and problems I consider to be relevant. Do consider it worth the money? Yes I do. Would I buy it as a 0+ seat for my third child (which of course will never exsist: lol:)? Yes, I would.